It's challenging to completely and accurately synthesize the ongoing effects of a chance encounter with a handful of words and images. We met Warren Cuccurullo during our preproduction week in Los Angeles for the Robert Mondavi "For Real" campaign we were a part of in 2013. It just so happened that his home is above our ground producer's office where we were handing the casting and wardrobe for the project. At the time, I (Marcelo) was just a couple of days away (and still sore) from a motorcycle accident involving a suicidal deer in Lynchburg, Virginia. Although alcohol was not involved in the accident per se, it at the time was a prevalent aspect of my life. Matt invited me to come with him on the shoot with the gentle recommendation that I give something a try, even just for the sake of experiment — to try eating Paleo (in a crude sense, it means not eating gluten or dairy) and not drinking booze for the two weeks we were out in California. Only 48 hours into the experiment, I was waking up in a beachside Santa Monica hotel with increased mental clarity and a heart full of gratitude. I hadn't felt that great in a long time. 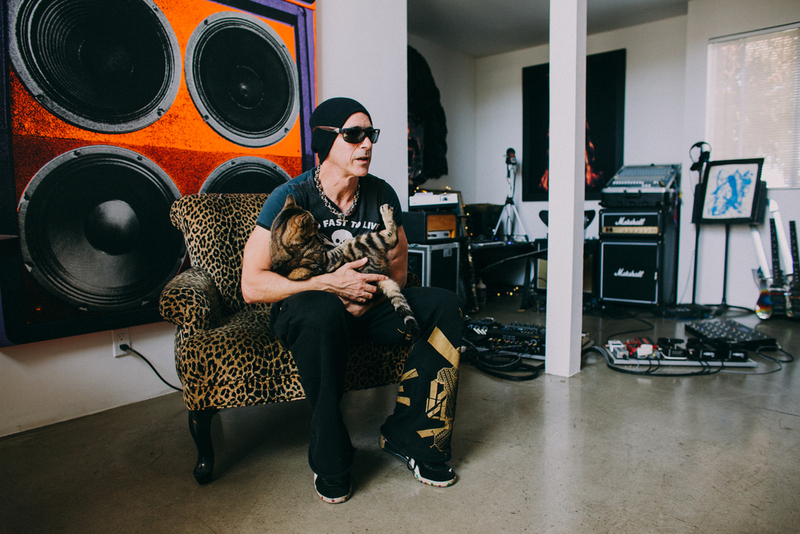 So when we met Warren — famed guitar virtuoso of Frank Zappa, Missing Persons, Duran Duran, TV Mania and more — he was 57 years old and more shredded than any of my 20-to 30-something-year-old gym rat friends. We asked him his secret to creative success and physical fitness, he explained that he hadn't drank alcohol in many years. I was more than convinced, and my two-week experiment persists to this day. I've since lost 70 lbs. and fell in love with the life-giving and transformational benefits of yoga. Many of his friends from the past few decades, he said, have died from drugs and drinking problems, yet here Warren remains — still honing his craft, pursuing creative projects and running his popular Santa Monica restaurant, Via Veneto. During our week-long stay in Los Angeles, we spent a good deal of time with Warren in which we exchanged YouTube vids (like our friend Gull and his personal favorite, Die Antwoord), talked about the state of modern culture (the man is has a razor-sharp brain), took photos and even shared a delicious gluten-free pancake and fresh juice breakfast in Venice on our last day in town. In the meantime, scroll through the images we took in Warren's Venice Beach home. Enjoy.